It’s not everyday that someone makes a $373 million grant of shares in a company he co-founded, but on November 12 that’s exactly what the foundation of a fellow named Michael Karfunkel did when it gave his son-in-law’s foundation over 7.21 million AmTrust Financial Services shares. But the seemingly innocuous grant disclosed on Friday afternoon, November 20, after the close of trading, becomes a lot more interesting when you understand that Barry Zyskind, the man who founded and manages the Teferes Foundation (the recipient of the shares) is the chief executive of AmTrust. As Southern Investigative Reporting Foundation readers will recall from our August investigation, the 71-year old Michael Karfunkel is one-half of a fraternal duo (his brother George is six years younger) that founded AmTrust, a high-flying insurance company. What our investigation uncovered was that the two brothers’ foundations—while certainly active grant-makers to synagogues and institutions connected to Brooklyn’s Haredi Judaism community—benefited mightily from using their foundations to maintain family control of AmTrust. With that in mind, SIRF took a hard look at the deal and it appears that charity is the last reason this was done. Moreover, a close reading of the rules governing inter-private foundation transfers suggests Michael Karfunkel hasn’t done his son-in-law any favors. You can be forgiven if the term doesn’t roll off your tongue, but for tax-exempt private foundations, it’s a very big deal. In short, the permitted holdings of a foundation and its disqualified persons—an IRS term for the network of foundation insiders that include its manager, their family members, the directors and key donors—boil down to a formula: 20% minus the amount held by disqualified persons. Given the Karfunkel insiders fail this test via their ownership of just over 59% of AmTrust’s shares, another IRS rule permits their private foundations to each hold up to 2% of a company’s shares outstanding. So did the Hod Foundation’s grant of all of its AmTrust shares to the Teferes Foundation put it in the clear? In the case of Hod Foundation, this liability is potentially mounting into the tens of millions of dollars. Filings with the Securities and Exchange Commission indicate that the Hod Foundation received a block of shares on August 1, 2008 that pushed its ownership to just below 10 percent of the shares outstanding. Under IRS rule 4943, a private foundation has five years to liquidate the excess business holding; by August 2013, according to the timetable its own SEC filings document, Hod was in violation of the IRS rules. Ultimately the Hod-to-Teferes transaction is astoundingly strange: it solves no problems and only serves to highlight the very issue it was supposed to address, and raises additional ones, like charitable intent. The Karfunkel/Zyskind private foundations remain every bit in violation of the excess business holdings rule as they were before the move and Zyskind’s Teferes Foundation has been afoul of the rules from the minute the deal closed; no holding period “clock” is reset. Getting right with the IRS will mean that some painful arithmetic is in store for the Karfunkel family. Using the figure of 74,886,335 shares outstanding as disclosed in last week’s 13-D filing, the 2% exemption means that Barry Zyskind’s Teferes Foundation and George Karfunkel’s Chesed Foundation for America would have to dispose of over 12 million AmTrust shares combined, either through direct sales or grants to public charities. Breaking it down further, the maximum permissible holding for each foundation is 1,497,726 shares, implying that Teferes (which currently holds 7,347,555 shares) would have to sell 5,849,828 shares and Chesed (which currently holds 7,707,918 shares) would have to sell 6,210,192 shares. What’s more, if they donate these shares to a public charity like the United Way or the Red Cross, the donations must be unencumbered, meaning there are no strings attached—so the charity would almost certainly sell them in the open market in short order. Given the simple remedy to this expensive problem, and the Karfunkel family’s refusal to do so, it’s obvious that maintaining this status quo is vitally important to them. The only question remaining is why. A spokesman for the Karfunkel brothers, Kekst & Co’s Robert Siegfried, was asked for comment about the transaction. In response to our question about excess business holdings, he said there was “no excessive business holdings” issue and noted that Teferes was a long time donor to Jewish organizations. 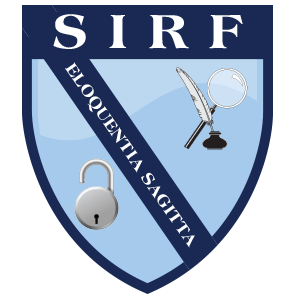 SIRF sought clarifications in a follow up e-mail; Kekst’s Siegfried did not answer the questions and repeated his initial response. I must admit I found this one to be much less easy to follow than the Akron post, though that really is a comment about the US Tax code, more than anything else.